We are currently at the Holiday Inn Birmingham Airport waiting for our pairings for the 3rd & 4th round of the Four Nations Chess League. 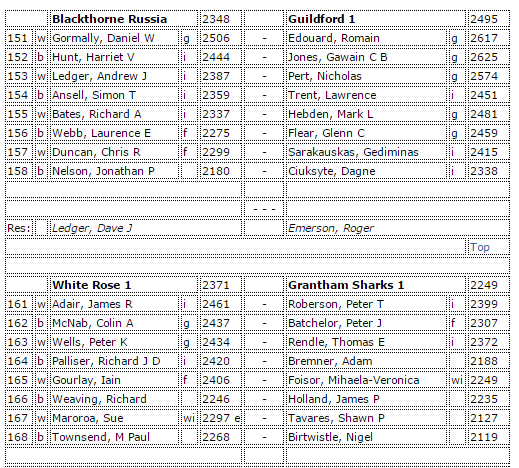 My team White Rose will be facing the Sambuca Sharks today and Gawain playing for Guildford will be facing Blackthorne. In the first weekend held in November Guildford 1 (who were also missing players thanks to the European Teams)managed to win 8-0 both days but I think they will have tougher task this weekend. And now since I’ve had lunch the pairings are here. Watch the live games here. 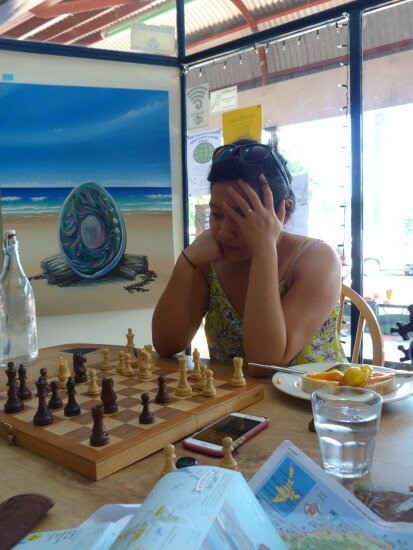 Playing chess is in a relaxing setting.